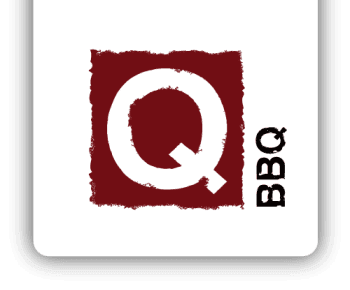 November 8, 2017 (La Grange, IL) - Q-BBQ, a fast-casual Michelin Guide's Bib Gourmand-winning restaurant offers special holiday promotions at all four locations. Holiday Catering Promotion -- choose from one free quart (value $9.99) from the regular sides menu with a catering purchase of $50. This special offer is available now through December 24, 2017. Visit http://www.q-bbq.com/catering to place an online catering inquiry. Holiday Gift Card Promotion-- buy a $30 gift card and receive a free bottle of sauce. This offer is available November 24 through December 24, 2017. Q-BBQ's Founder's Chili made with authentic Texas-style hickory smoked brisket, pork, sweet corn, and fresh red peppers. Q-BBQ's Founder's Chili Mac made with half Founder's Chili and half Mac-Q-Roni. Both the Founder's Chili and Chili Mac are available a la carte for $5.99 (12 oz.) or as a premium side (8 oz.) for $2.99. Upgrade to Founder's Chili "Q-Style" to include cheddar cheese, sour cream and diced red onions for $1.50 more. Founder's Chili or Chili Mac catering options include: quarts starting at $14.99, half pan starting at $74.95, and full pan starting at $149.00. Chicken Wings made with a Memphis inspired or spicy dry rub and smoked up to three hours. Buy 24 wings and receive 8 wings free ($8.99 value). Limited time offer. Q-BBQ specializes in authentic BBQ traditions from Memphis, the Carolinas, Texas, and Kansas City, and has added its own signature style to create a familiar yet surprising menu that is both contemporary as well as true to the legacy of "America's original comfort food." The menu features BBQ delicacies like brisket burnt ends, traditional dry rubbed chicken wings, homemade sides made fresh daily, deep fried corn fritters ("Hush Pups") and signature sauces such as Memphis Sweet, Texas Spicy, and North Carolina Vinegar. has locations in downtown La Grange, downtown Naperville, Schererville, IN and Oak Park. Q-BBQ offers beer and wine, take-out, and catering, plus retail sales of its three signature sauces. For more information, visit www.Q-BBQ.com, Facebook.com/EatQBBQ, or Twitter.com/EatQBBQ.